5 minutes is the average time taken to call the police following a gunshot. Can you rely on people to make the call? AmberBox Gunshot Detection protects lives in an indoor active shooter incident. Automate the emergency process, remove human error and deliver immediate and precise detection and notification in 3.6 seconds, whilst automating the 911 call. Automatically link all key security personnel into a conference call with police. View real-time operational intelligence through the response platform and situation notifications. Integrate with any security system vendor (access control, VMS, mass notification etc. ); facilitate an immediate response with pre-programmed security features anytime, anywhere. When precious minutes can make a significant difference to attack severity, AmberBox Gunshot Detection enables first responders to arrive on scene faster, equipped with the vital information needed to contain threats and mitigate casualties. 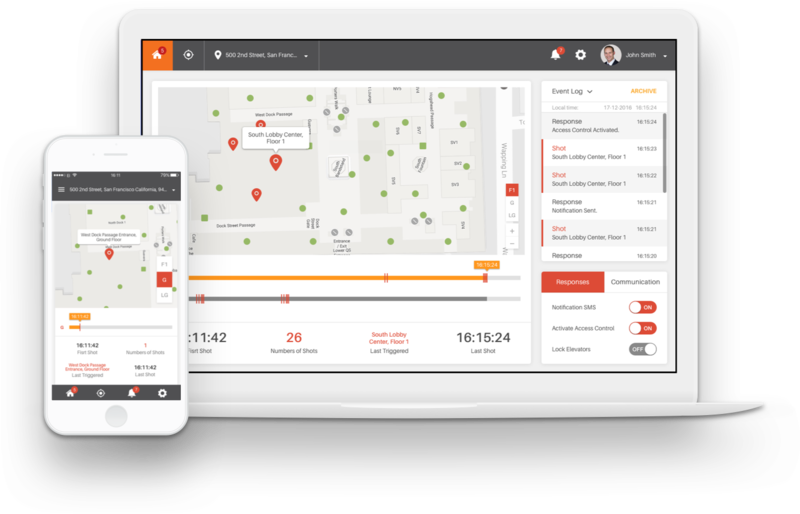 Within the AmberBox system demo, you will experience real-time notification and response procedures in an active shooter scenario.